Beautiful Balustrading by Smarter Fencing. Whether you’re looking for a balustrade solution for balconies or straiways, we’ll surely have something you’ll approve of at competitive prices. Why Balustrading Is Better by Smarter Fencing. Balustrading is the unique art of joining concrete structures with a steel or aluminium fencing section that strengthens their solidity. At Smarter Fencing we are the prime leaders for providing balustrading and security railings. The art of balustrading an area of a house such as a balcony does not only result in a view pleasing to behold, but also provides a safe balcony. At Smarter Fencing we have a host of styles that you can pick and choose from, meaning that it will be very simple for you to find a balustrading style that will blend in with the colours of your home and its surroundings. Strong and tough metals are used in balustrading sections of a home and these include aluminium, pre-galvanized steel and of course, glass. Finished products are offered in a wide range of colours so that they can fit perfectly with the colours of your home. Our powder coating process is done in our own factory to produce our main finish of satin and matt. The latest electrostatic technology is used to produce our coat finish followed by curing in the oven to make sure our product lasts for a long time. 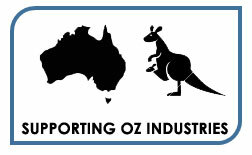 We have been certified as outstanding performers for our powder coating process, an honour bestowed upon only a few companies in Australia. We have consolidated product credibility by guaranteeing our aluminium products over 10 years and 3 years for products made from pre-galvanized materials. 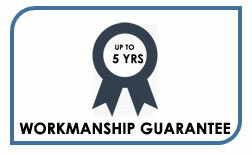 This type of warranty is very difficult to offer by most companies. At Smarter Fencing, our feel for safety is unmatched and our versatility enables us to process any type of project, big or small. We possess such a wide range of bulustrading and railing products, it is easy for homeowners to pick patterns and styles they desire. We can even produce designs to accommodate special orders that clients put to us and our expertise and versatility has generated a strong reputation with contractors and builders. These usually demand mass production of balustrading products and we supply them on a sustainable basis. We target a wide range of structures when applying our balustrading work and now, glass has been added to the existing list of materials used in balustrading. This material has risen in popularity especially for outdoor surrounds. To satisfy our clients, we produce extremely strong and beautifully tailored glass railings which can be used no matter how large the project is. One of the most popular uses of glass fencing is around the swimming pool area. 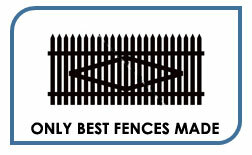 For top quality and long lasting railings, Smarter Fencing is the right fencing provider to turn to. 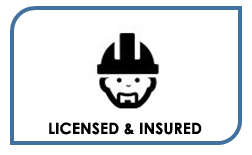 It is dependable and trustworthy and when it comes to safety precautions, it is unbeatable. Call us now on (02) 8091 3881 and find out for yourself just how good we are!